Jockey Tegan Harrison is forming a profitable association with trainer Chris Meagher. 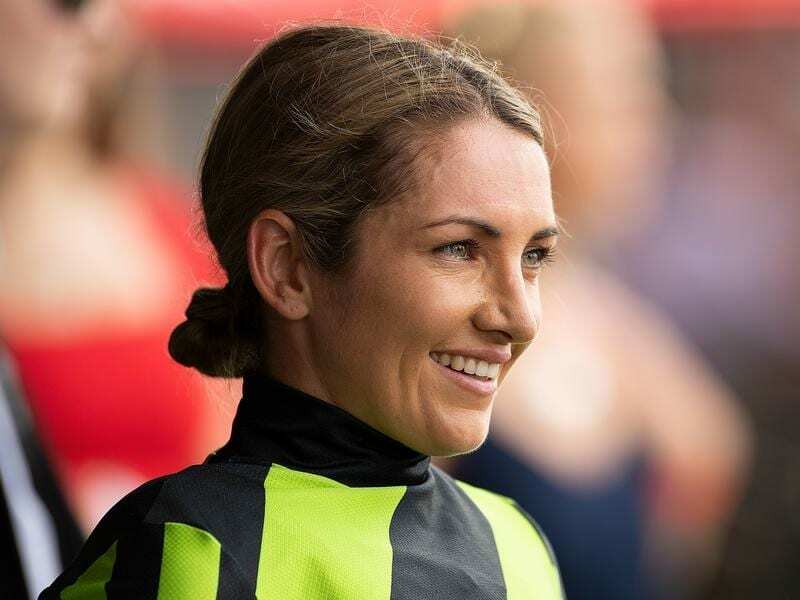 Jockey Tegan Harrison cemented her blooming association with trainer Chris Meagher when Divine Dice won the TAB Handicap at Eagle Farm. Harrison rode Mystic Eyes to win at Ipswich for Meagher on Wednesday and carried it on with another clever ride on Divine Dice ($6). She had Divine Dice camped on the tearaway leader Upstart Pride to the 250m before coming away to beat Malvern Estate ($2.90) by three-quarters of a length with a half length to Veladero ($14) in third. Meagher said Harrison had been riding track work a couple of days a week and seemed to get on well with his horses. “Her style of riding suits horses which can get up on the pace and several of ours can do just that, “Meagher said. He said Divine Dice had been racing well without much luck. “He was fourth last start in the Magic Millions QTIS race and should a have finished bit closer,” Meagher said. “There should be a few more races for him on Saturday before the handicapper catches up to him,” Meagher said. Harrison said the race had worked out perfectly and Divine Dice was always travelling like a winner. “I enjoy riding for Chris and we are starting to have some success,” she said.